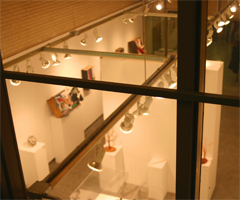 The Watkins Gallery hosts student, faculty, and visiting artist exhibits in a gallery setting which includes a first floor main gallery, top level viewing area, and a reception area. 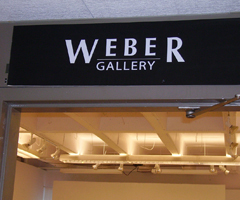 The Weber Gallery on the 2nd floor is named in honor of 20th century painter, Max Weber, the father of alumnus Mo Weber, ’50. 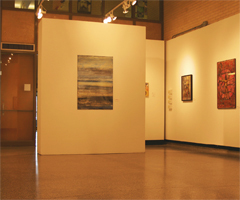 The Weber Gallery is used primarily for student exhibits and junior and senior salons and evaluations.